Today I am sharing a new layout created for Cocoa Vanilla Studio using the stunning new Happiness collection! I absolutely LOVE LOVE LOVE that rainbow striped paper but wanted to use it in a different way...I decided to cut a doily like design out using it and I think it turned out gorgeous! I felt the paper on its own was a little too busy so this was a great compromise. Once it was all cut out, I adhered it in strategic places to some plain white cardstock. When I say strategic, I mean that I wanted to be able to fold up the scallops so I only adhered the very centre down and a little around the outside scallop edge. Before machine stitching the cut file down, I took some of the watercolour look clear stickers and placed those under the cut file in a tone on tone look. See the image below of the orange clear sticker under the cut file. Once stitched, I folded up the scallops to create the look of dimension and shadows. I matted my photo using one of the papers from the 6' x 8' paper pad and used some craft foam underneath it to pop it up. I tucked in some of the die-cuts either side of my photo and also adhered a flair button on the bottom right corner of my photo. My title is the 'Unique' word from the Happiness cardstock title pack, a fitting title when you can get some unique looks from Snapchat photos haha! I adhered the title overlapping my photo at the bottom. I also placed the 'Stay Colourful' die-cut piece underneath the title. I love that 'Colourful' is spelt correctly ;) To finish off the page, I added some of the phrase and shape stickers around the photo and stamped the date stamp. 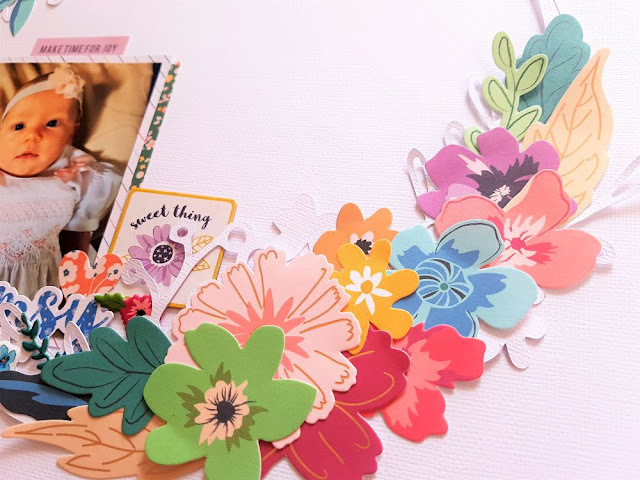 Thank you so much for joining me on my blog today, I hope I have inspired you to pull out your Happiness collection and create with it! If you don't have any yet, you NEED it! Check out the many online and brick and mortar retail stores that have it in their stores and it will be in the Cocoa Vanilla online store soon! Today I am sharing a new design team layout with you created for The Cut Shoppe using the gorgeous new Butterfly Wings cut file! As the Butterfly Wings cut file is quite a large design, I wanted to try one of the busy papers from the Cocoa Vanilla Happiness collection behind it to see how it would look. I just LOVE how that paper looks behind the white outline of the cut file. Once I had the cut file backed, I added craft foam on the underneath side and added it to the pink background paper. I wanted the butterfly to pop up from the background paper to create shadows and dimension. I have scrapped a photo of my niece, it was perfect to use for this layout as she looks as though she is holding out her arms to look like wings. I placed it right in the centre of the cut file because of this reason! I did matt the photo using a dark blue paper and also layered some other papers and embellishments underneath the photo. 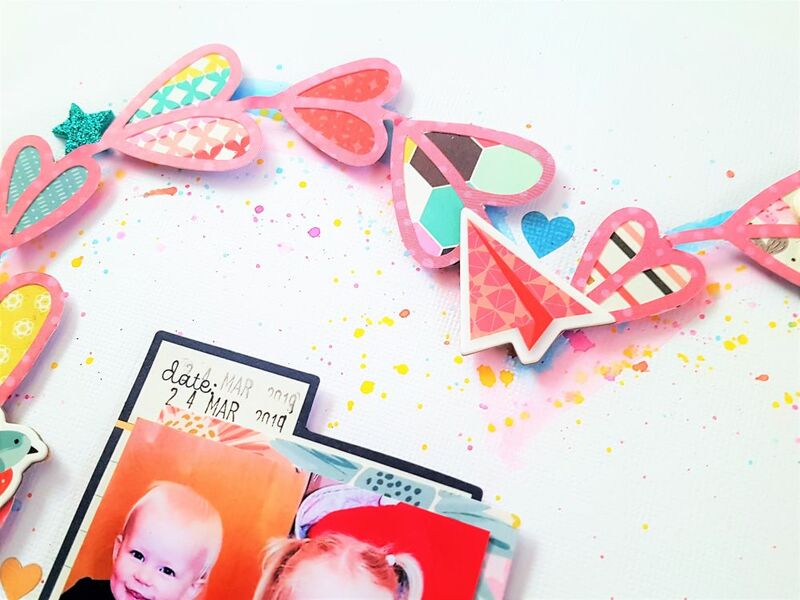 I added the butterfly die-cuts scattered around to enhance the butterfly design even more. My title was added overlapping the photo on the left hand side and a couple of sentiments were added at the bottom of the cut file also. Lastly some white mist and the date stamp were added. 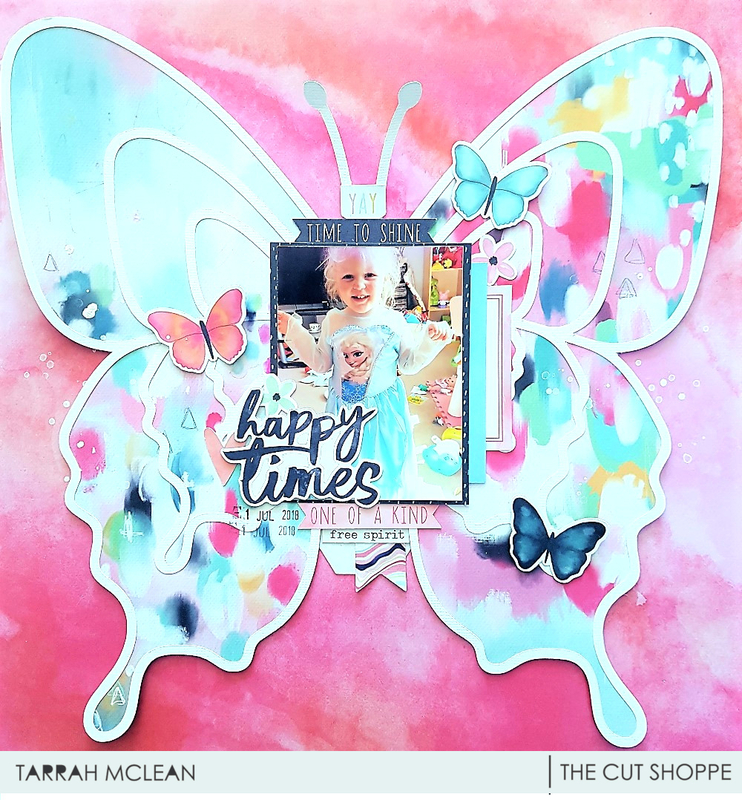 I hope I have inspired you to check out The Cut Shoppe store for some amazing cut file designs! There is something in store for everyone! 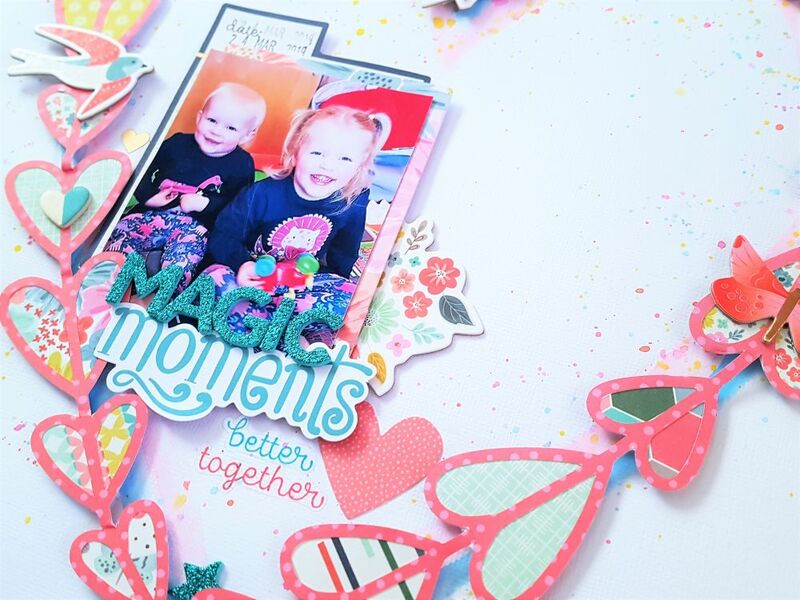 Today I have a new layout to share with you created for Sassy Scrappers using the gorgeous Whimsical collection by Paige Evans/Pink Paislee. This is my last layout using this collection! Stay tuned for something new in the coming weeks! 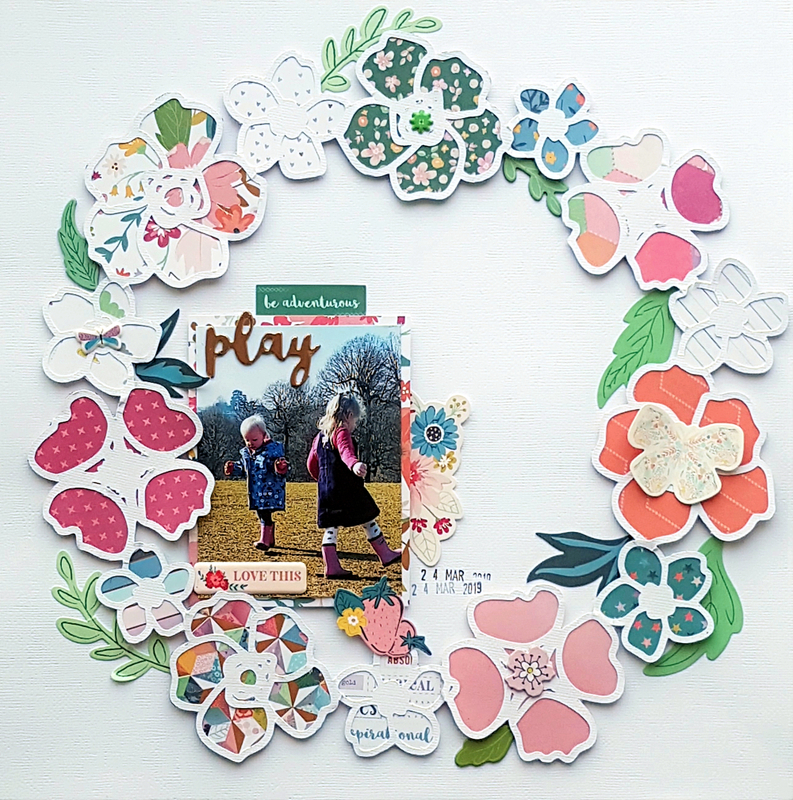 As this is my last layout using the gorgeous Whimsical collection, I found that I had lots of the flower die-cuts left over so I chose to cut out a wreath style design cut file. 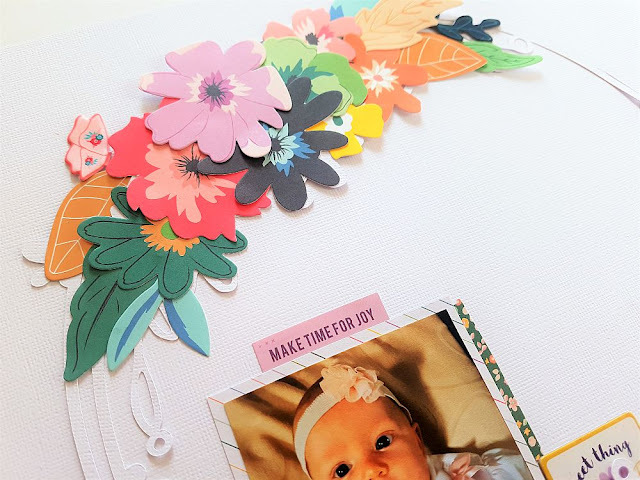 The cut file design had some flowers already incorporated on it however I wanted to use lots of the colourful ones to overlap and highlight. I adhered the cut file straight onto some white cardstock and then began to layer lots of the flowers in clusters around the wreath. I matted my photo using one of the papers from the 6' x 6' paper pad and placed it over to the left of the page. I chose the 'Sweet Thing' chipboard piece as my title and placed it to the right of my photo. I added a few other cute embellishments around the photo also, including puffy stickers, die-cuts and stickers. I added the word 'Whimsy' from the die-cut pack too as I liked the pop of blue down in that area. Thanks so much for stopping by today! 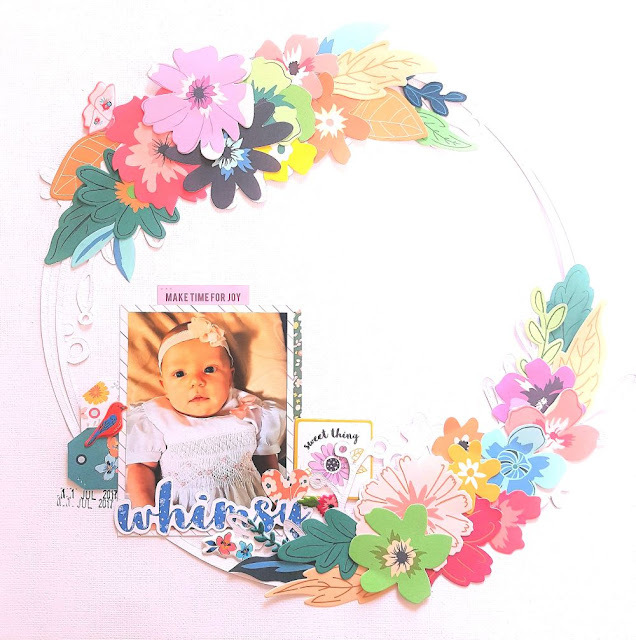 I hope I have inspired you to purchase any 6' x 6' paper pad from the Sassy store and try out a layout like this one! 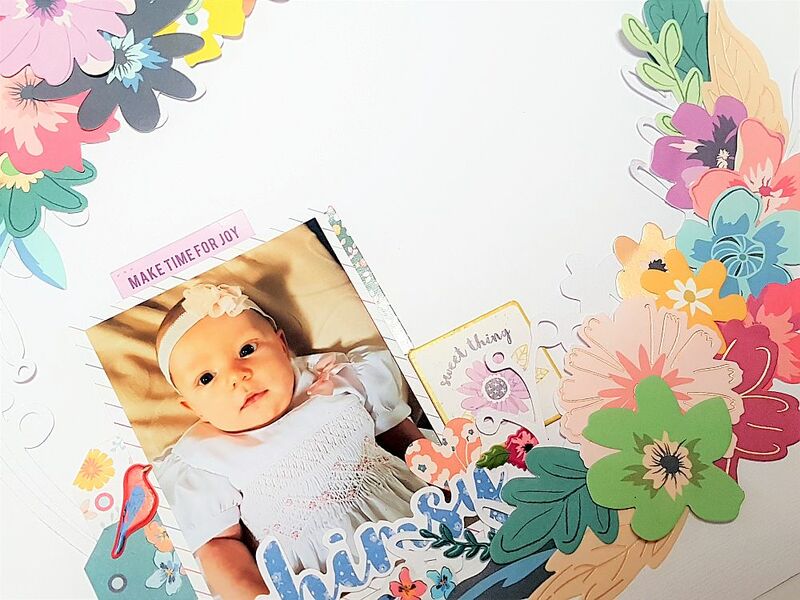 Today I have a new design team layout to share with you created for Sassy Scrappers using the gorgeous Whimsical collection by Paige Evans/Pink Paislee. I will be working with this collection over the next few weeks so stay tuned for some inspiration each Friday! This week I noticed I had lots of the art embellishments left over from the Whimsical collection. I remembered that I had these cute photos of my eldest son when he was 3 doing some painting! They were perfect photos for this page! 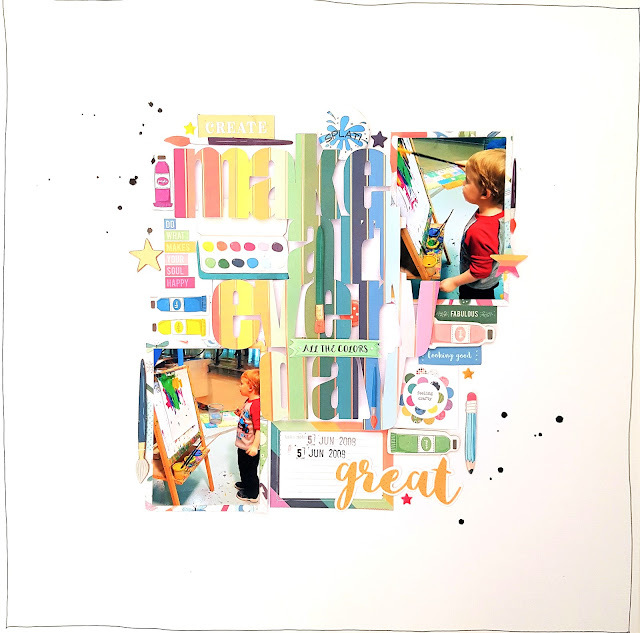 I started out by typing 'Make Art Every Day' into Silhouette Studio and then cut it out from that gorgeous 6' x 6' rainbow striped paper. I used really high foam dots to pop it up off the plain white cardstock background. I matted the photos in another of the papers from the 6' x 6' paper pad and placed them opposite to each other. 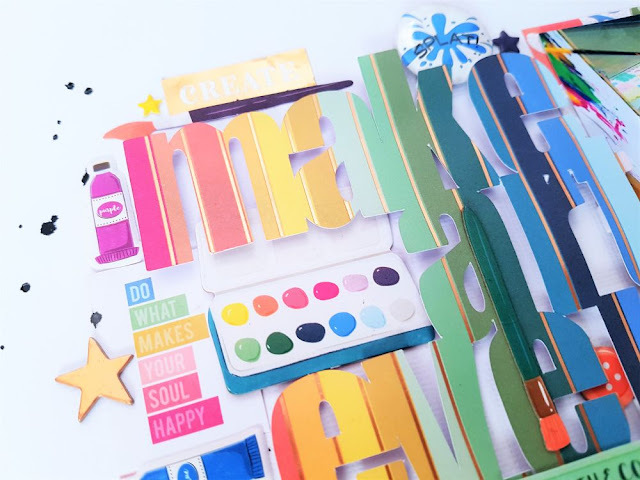 I then embellished with the chipboard stickers, (that chippie paint palette under 'Make' is super cute), puffy stickers, die-cuts and cardstock stickers. I added every single paintbrush and paint tube I could find from all the embellishments! I overlapped some of them on other elements and also placed them on their own. The 'Splat' flair button right at the top of the page is from my stash. I also included some of the stars in the chipboard and cardstock stickers too. I finished off with some splats of black mist and the date stamp. Today I am sharing a new design team layout created for Cocoa Vanilla Studio using the GORGEOUS new Happiness collection! 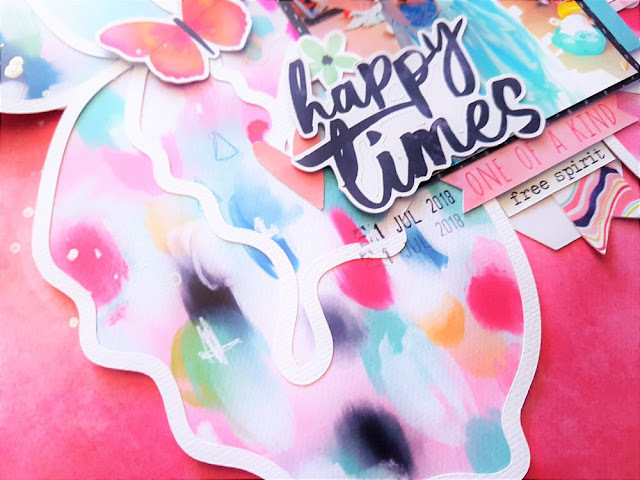 This week some of the design team were asked to use the free 'Happiness' cut files designed by fellow design team member Gwen Wruck who owns the cut file business Cut To You. 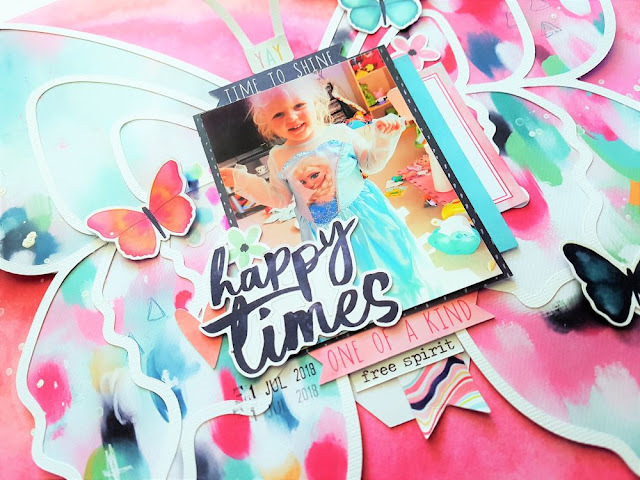 The beautiful free cut files below are designed by Gwen from Cut To You and they co-ordinate with the Happiness collection perfectly! You can download them for free in the Cocoa Vanilla store here! I chose the 'So Thankful For You' title design and cut it out of the 'B' side of the Botanical Bliss paper. I went with a plain white cardstock background as I liked the contrast between the navy blue and white. I did add the gorgeous Expressive paper behind the white cardstock and machine stitched them together. I chose to document a lovely photo of my sister and her husband on their wedding day a few years ago. 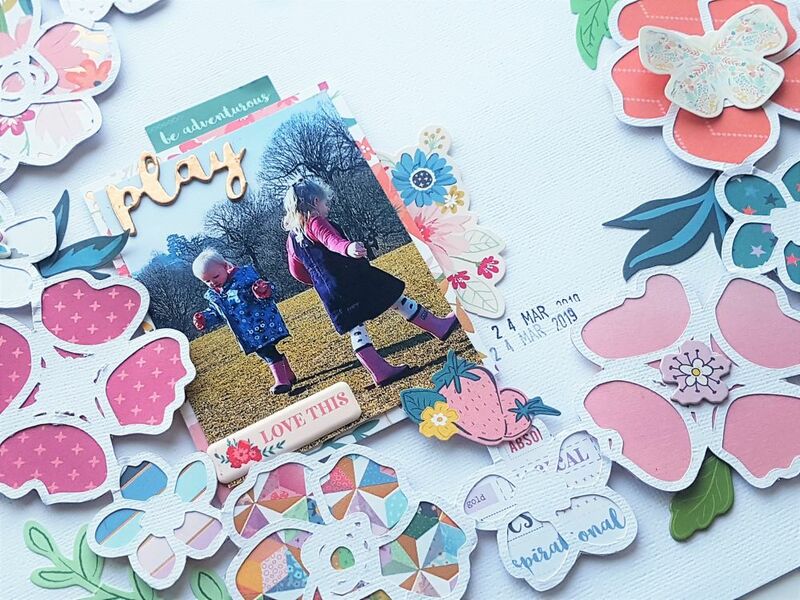 I love how lots of the elements in the Happiness collection go with love themed photos. I matted the photo using one of the papers from the 6' x 8' paper pad. I also tucked in one of the pink tabs on the right side of the photo and also placed the 'This Makes Me Happy' sticker beside the tab. I absolutely LOVE the clear stickers in this collection and added a few of them around the page for added interest. I made an extension of the cut file title by adding the 'Every Day' clear sticker to some white cardstock. I was then able to move it around and adhere it where I liked it. I added some more embellishments including die-cuts, accessory stickers and a flair button. I finished off by adding some pink watercolour splatters and added the date stamp. 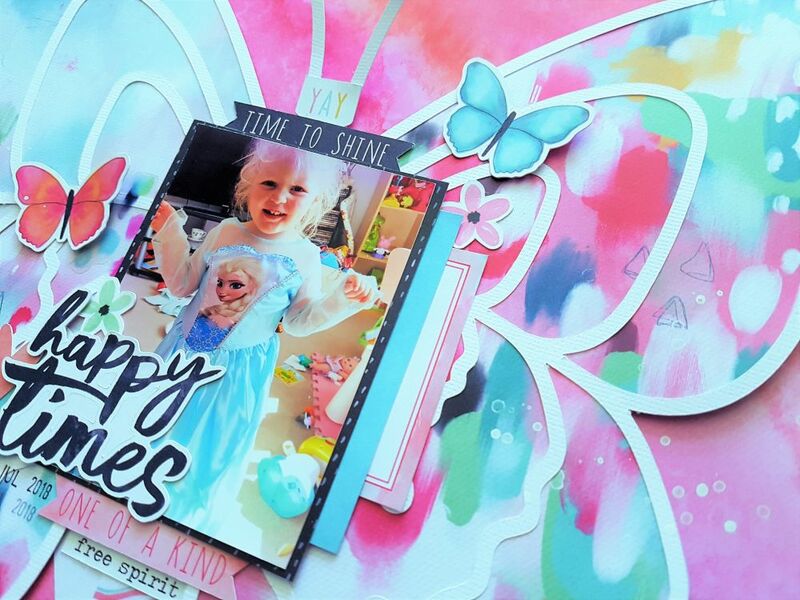 Make sure you check out Gwen's awesome cut file store for some fabulous designs AND make sure you check out the retailers around the country who are stocking the stunning Happiness collection! 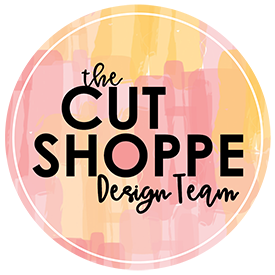 Today I am back to share a new design team layout with you for The Cut Shoppe using the gorgeous 'With Love' Freebie Friyay cut file. You can download this cut file for free at anytime here in the store. 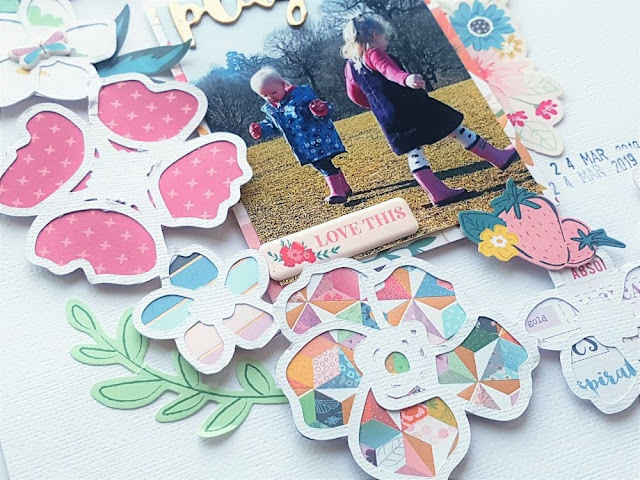 The 'With Love' cut file is a great one to use up lots of scraps and bits and pieces. You can do this by backing each heart in a different paper. 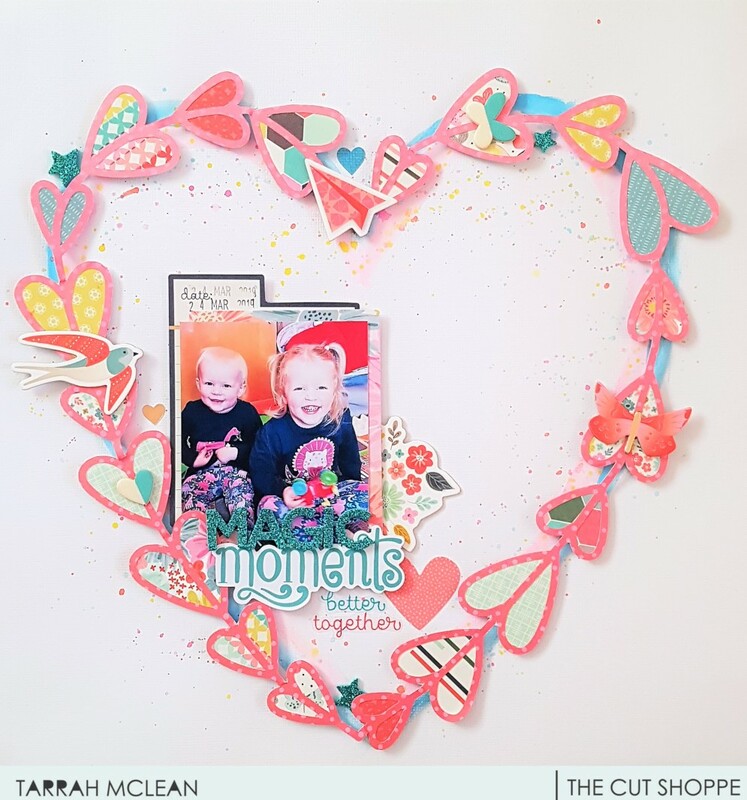 I firstly cut out the design with a pretty pinky coloured paper and then backed different papers behind the hearts. I love how it turned out! Once I had all the hearts backed with the papers, I added foam tape to the underside of each heart, I wanted them to have dimension and create that shadow on the page. Before I adhered the heart cut file down, I got out my watercolour paints and drew a rough heart shape in both pink and blue. I then added a few splats of mist in various colours around the watercolour hearts too. Once it was dry I went ahead and stuck down the heart cut file. I tried to position it so that you could see the watercoloured hearts underneath. 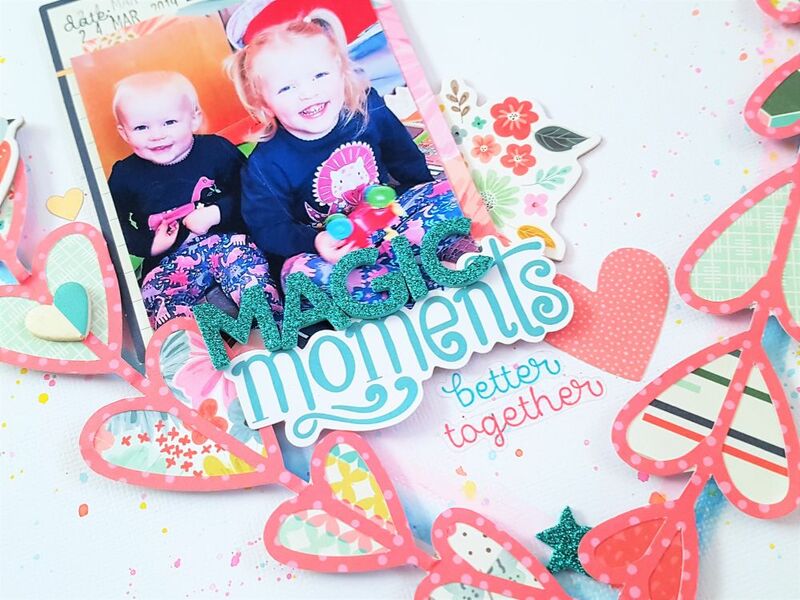 I layered a few embellishments under my photo and layered the title 'Magic Moments' over the top of the bottom of the photo. I also added a few embellishments on top of the hearts to create some added interest and I love how they look. I added some wooden pieces, some chipboard stickers and some die-cuts. 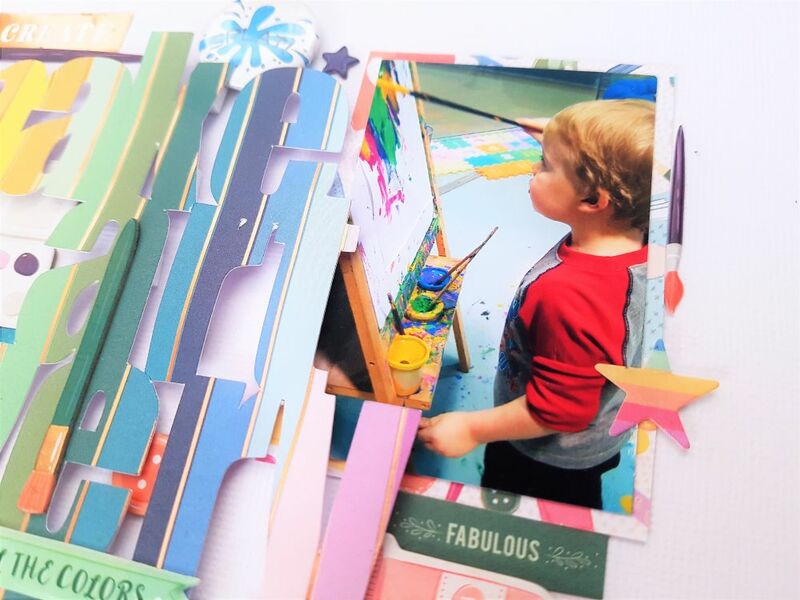 The glitter pieces included in the Turn the Page collection by Paige Evans were the perfect touch to add a pop of spark in a few places too! Thank you so much for stopping by today! Make sure to check out the Cut Shoppe store, there are so many amazing designs in store to suit any theme project! I have been working with the Whimsical collection for a few weeks now so my embellishments are starting to get a little bit low. Using a cut file on a page is a great way to use more of the papers to even out the ratio a bit more! I only used a few embellishments as most of the work for this page is done with the patterned papers backing the cut file. Once the cut file was backed with different patterned papers from the 6' x 6' paper pad, I put craft foam on the underside so when it was adhered, it would create shadows and dimension. I added a few small embellishments to some of the tops of the flowers in the cut file but kept most of the embellishing around my photo to draw your eye towards the photo. 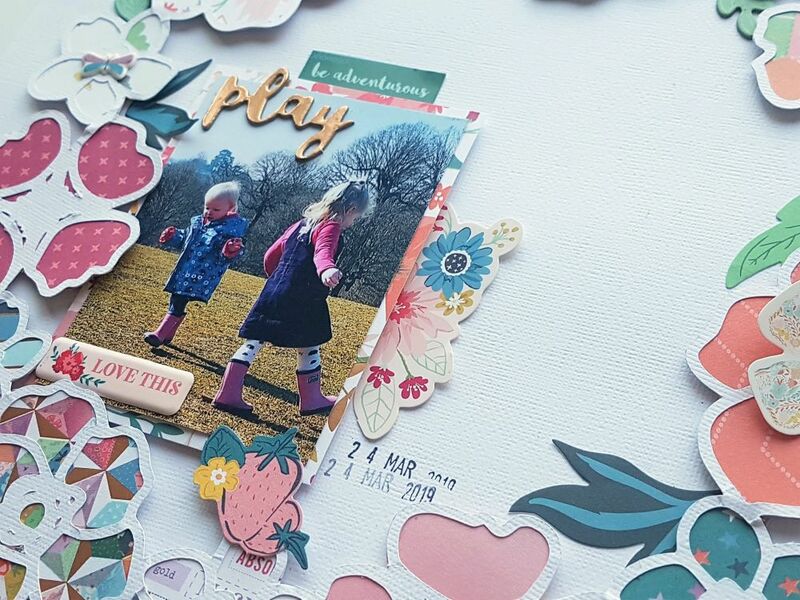 I tucked a few of the green leaves from the ephemera pack on the outside as well as the inside of the cut file, I love how these look as the cut file has just flowers, these leaves were perfect to add. On the right of my photo, I tucked in one of the die-cut flower clusters and I layered my title, 'Play' on top of the photo plus the cute puffy sticker that says, 'Love This'. I thought those super cute strawberries looked pretty at the bottom of my photo also! Hi there, my name is Tarrah McLean, I live on the NSW Central Coast in Australia with my wonderful hubby Simon and our 2 adorable sons Luke and Oliver. 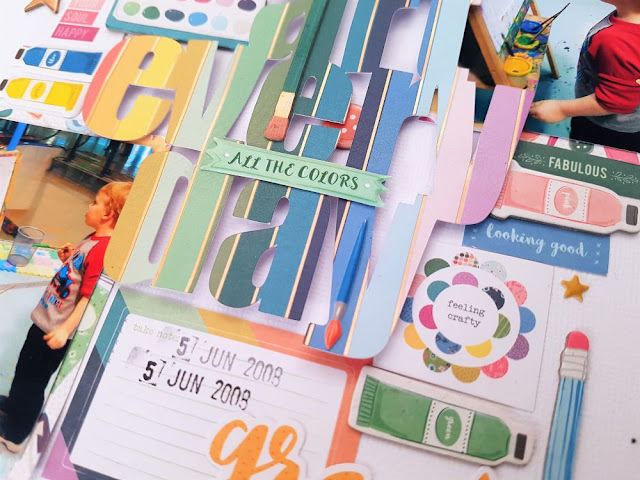 I have been scrapbooking for 9 years, my blog was created to share my scrapbooking and to inspire fellow crafters. Apart from scrapbooking, I also love to spend time with my family and I am very rarely without a camera in my hand! 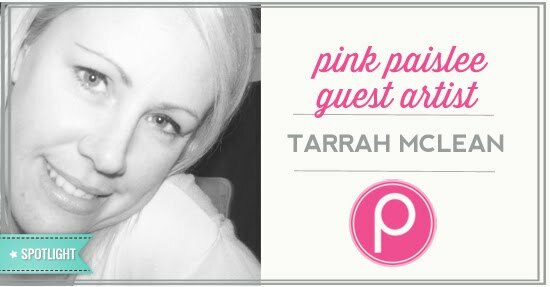 Follow Tarrah's board My Projects on Pinterest. All designs, narrative and photographs on Live To Scrap, Scrap To Live are Copyright 2008-2017 Tarrah McLean, unless otherwise attributed. All designs, tutorials and tips are for your personal inspiration only. Please do not scan, copy, duplicate, manipulate, alter or reproduce my work in any way without my written permission, thank you.